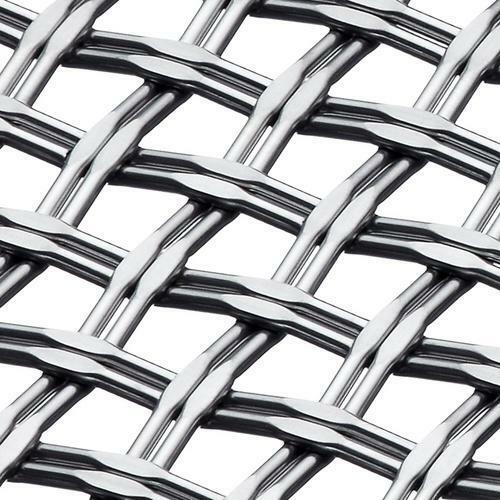 We are leading manufacturer of Wire Mesh Weaves and our product is made up of good quality. “Ashton Green And Company,” is a leading and recognized name in the field of manufacturing, supplying and exporting of Mesh Conveyor Chain Belts. Coming with superior finish strength, these are manufactured using latest technology support that provides for high performance support. Further, these can also be customized in terms of chain pitch, opening area, w.r.t. wire dia, width and length. Some of the areas these Mesh Conveyor Belts find use in include for Annealing, Cooling, Heat Treating, Food Processing, Washing, Baking and other industry areas. Further, these Wire Mesh Conveyors come with more frigidity in different Wire Gauge. Some of the advantages of these Wire Mesh Conveyors include easy handling of material at transportation stage. Available in Flat Weave, Load Bearing and flexible type, the company ensures these are the best available choice of the customers. We are looking for Export Inquiries. Our major export areas are: North America, South America, Eastern Europe, Southeast Asia, Africa and Indian Subcontinent.